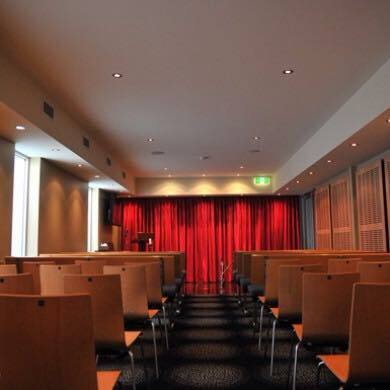 We have Three Sydney based chapels located in Redfern, Belmore and Eastern Suburbs, which have many features to make your service he best it can be. Your chosen venue needs to have the proper amenities for the comfort of the guests and staff. For instance, you need a place with clean bathrooms with enough cubicles to avoid queues which may delay proceedings. Your service venue should have adequate parking for all guests and staff. Ideally there should be a separate parking area for service vehicles and guests. When holding a funeral service, keep in mind that interstate or overseas visitors may attend and, if they’re not staying with family or friends, they will need to have access to local accommodation. Over the years, we’ve conducted funerals in many and varied places and, at times, have travelled vast distances to conduct a funeral in someone’s home town. If it is physically possible, we will help you to make it a reality. We assist with all aspects of venue selection and ensure all requirements are met in order to make the day as special as possible. This may mean organising marquees and other equipment, liaising with churches, organists, crematoria, cemeteries and local authorities to hire a hall or park.